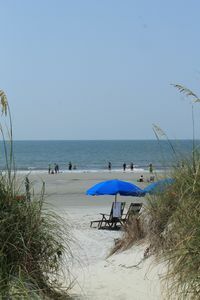 Breakers is the place to be for all of the best that Hilton Head has to offer. 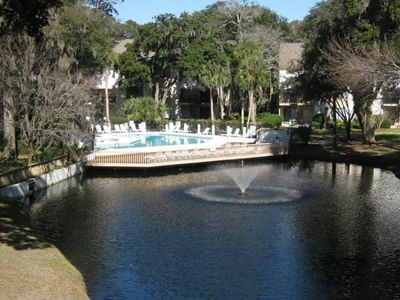 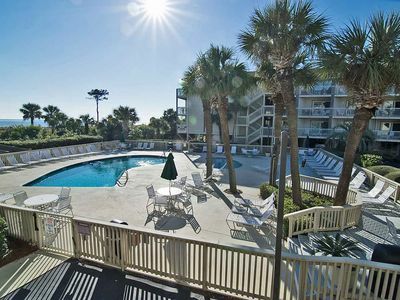 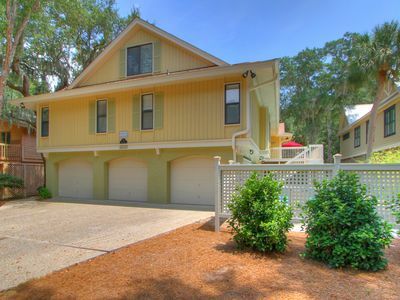 Just steps to the beach, community pool, and a one minute walk to all of the shopping, dining, and activities that Coligny Plaza has to offer. 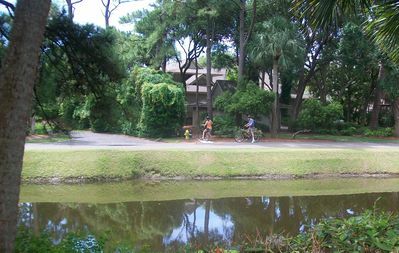 There's a reason they refer to Coligny as "Hilton Head's Downtown". 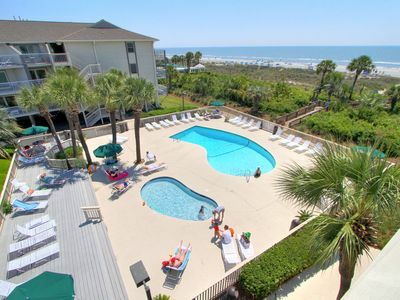 Enjoy shopping for Vera Bradley and Spartina at Fresh Produce, get your beachwear, sunglasses and more at Quiet Storm Surf Shop, and sit on the balcony listening to live music for drinks and dinner at Big Bamboo Cafe, all a minute walk from your front door. 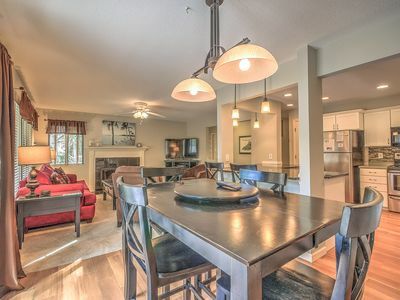 This beautiful villa has been completely updated with a gorgeous kitchen, granite countertops, breakfast bar, 55 inch flat screen TV in the living room, and new furnishings throughout. 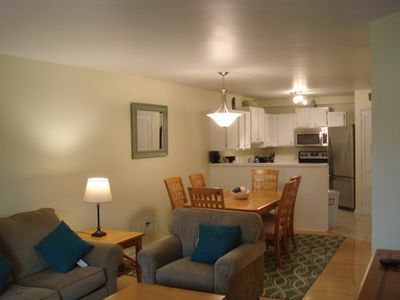 The bedroom features a Queen bed, a wall mounted LED TV, and beautiful built in closets. 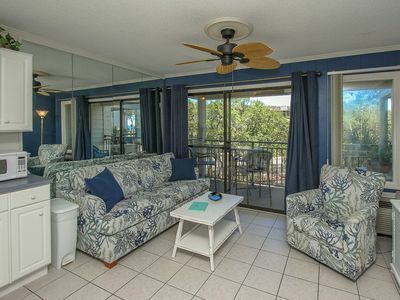 A stackable washer and dryer is located in the hallway, and the living room sofa pulls out into a Queen Sleeper sofa for an additional sleeping area. 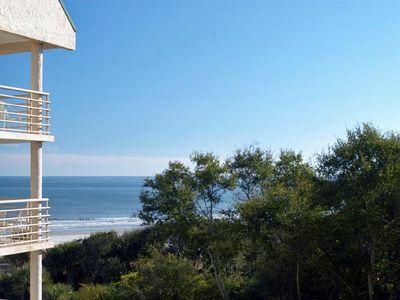 This villa comes with 4 Free Beach Chairs so that you can be on the beach within minutes of arriving for your vacation! 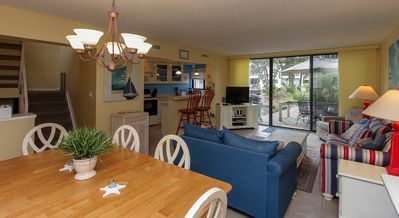 5 Juniper Lane-Pretty 3rd Row Ocean, Pool/Spa, Ping Pong & Fido Friendly. 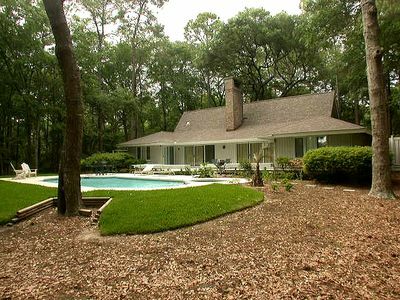 36 Kingston Road - Pool, Spa and Golf Course Views.